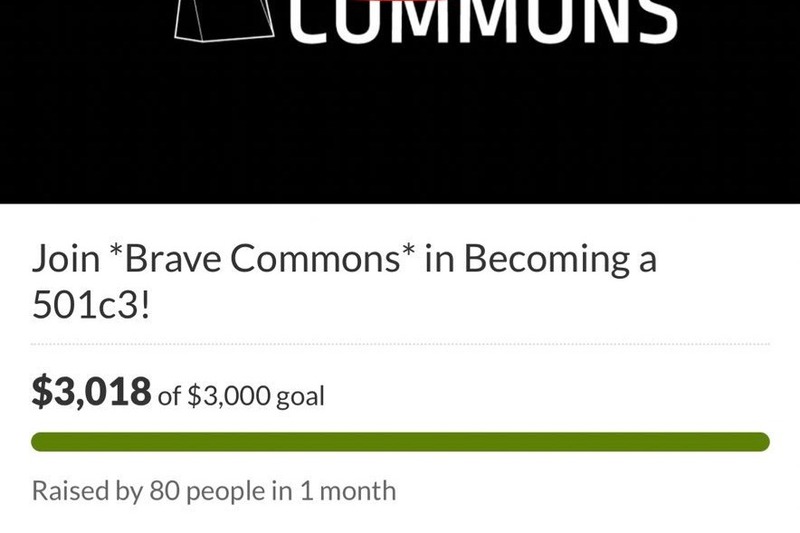 Fundraiser by Lauren Sotolongo : Join *Brave Commons* in Becoming a 501c3! Join *Brave Commons* in Becoming a 501c3! Brave Commons is an organization empowering LGBTQ+ students at Christian colleges across the country, and we are filing as a 501c3 and 501c4. In contributing to our monetary goal to file as a 501c3 and 501c4, you are taking another step in co-creating robust justice for marginalized students across the United States. Our status as a 501c3 will allow for further student support in pastoral needs, advocacy training, and demonstration support, as well allowing for tax-deductible donations from our community: You! Our filing as a 501c4 will represent the public advocacy (lobbying, partisan work, and political action) movement of Brave Commons. This will allow us to expand our work to support LGBTQ+ students at the policy level. We are raising exact funds to file (as a 501c3, $1500, and as a 501c4, $1000), along with legal consultations as we approach the process. Any extra funds raised will go toward continuing the weekly Oratio podcast for students and community members, along with continuing support of LGBTQ+ students fighting for equity at institutions like Azusa Pacific University. Visit bravecommons.org to learn more about our work! WE DID IT! THANK YOU THANK YOU THANK YOU. Friends, this is *our* collective celebration. Each and every donation mattered, from $5 to infinity. We’ve been working to make this movement sustainable, and this is a HUGE first step. We’re humbled to have such fierce community. Y'all are AMAZING! Seeing the various donations from $5 - $100 and beyond is inspiring. The collective work of this community (all of us together, working towards this goal of supporting LGBTQ+ students) is holy, and the way you've responded has been humbling to our team at Brave Commons. If you feel able, we'd love for you to share this campaign to folks you think would be interested via email or social media. Regardless, know that we are deeply grateful. Your partnership with this work is the only way change happens. We're nearly halfway there - let's do this!